Our All In One Solar Street Light, also Called integrated solar Street Light which integrated the green energy parts solar panel ,LED lamp and lithium battery into a single product, with human intelligence induction system to control the lighting mode automatically . Our company was established in 1992. Located in China's famous port city Ningbo, it covers more than 24, 000 sq. 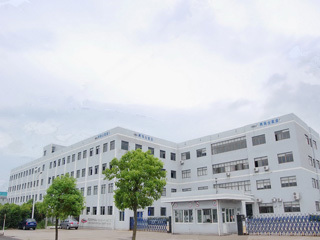 m.. At present, the company has 5 large workshops, 2 branch factories, and more than 300 employees. After 20 years' development and construction, it becomes a self-support export-import company with annual turnover of more than US$20 million. We integrate design, development, manufacture, distribution and export business. 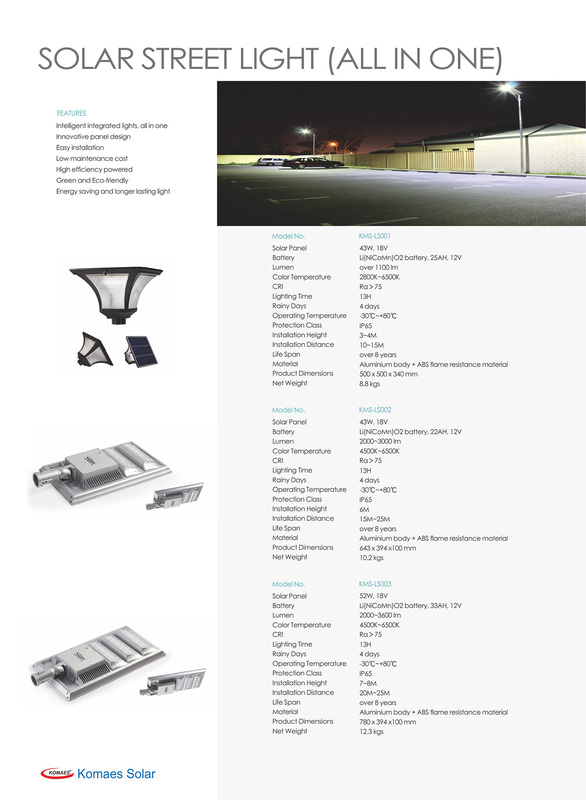 Our main products are solar modules, solar systems, and solar lights. We are now exporting the products to more than 20 countries and regions such as Europe, USA, Australia, Africa and Southeast Asia. 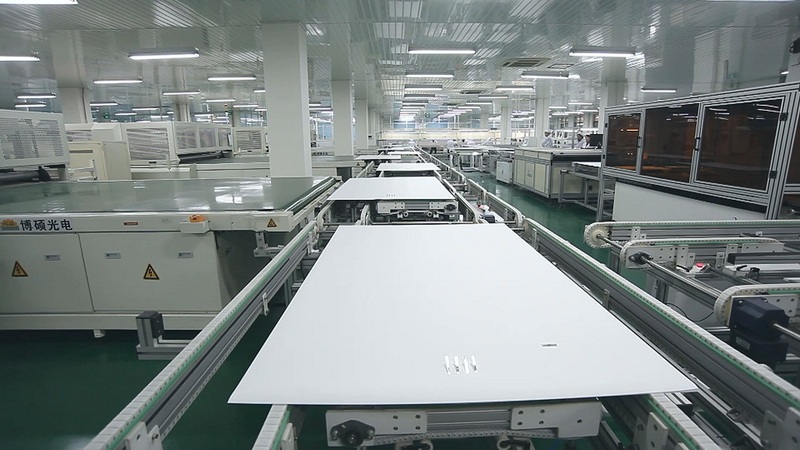 From 2004, the company began to investigate and develop solar modules & solar systems projects, now it becomes one of the most advanced Ningbo enterprises in this field. 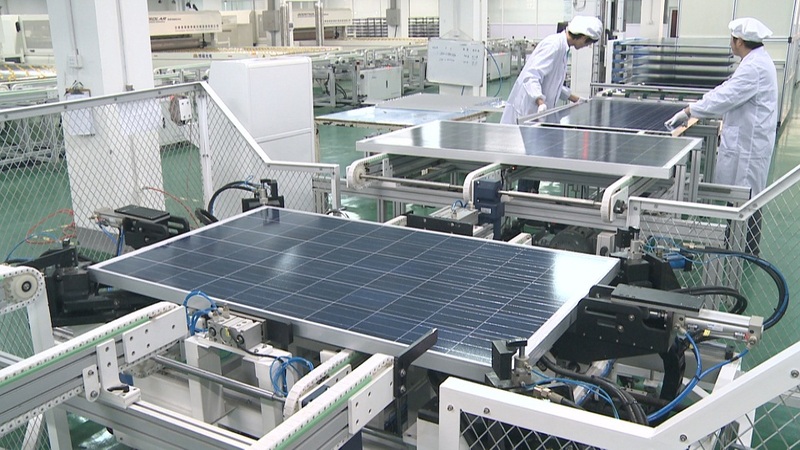 In 2006, it introduced foreign capital, and established Ningbo Komaes Solar Technology Co., Ltd., then began to mass produce & export solar modules. 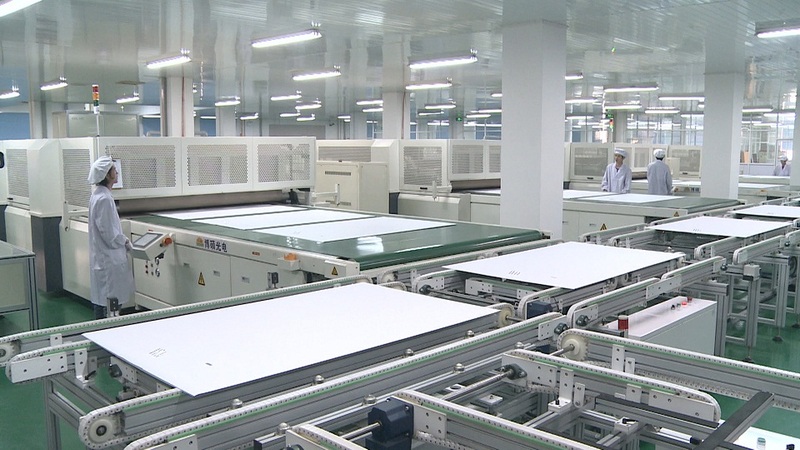 In 2011 we already establish 50MW on-line inspection automatic solar module assembly line, highly improve the production efficiency and product quality. The company strictly follows ISO9001 quality system, equipped with advanced testing equipments and professional quality engineer. We keep rigorous controls on incoming inspection, production process, finished goods inspection and all relative processes. 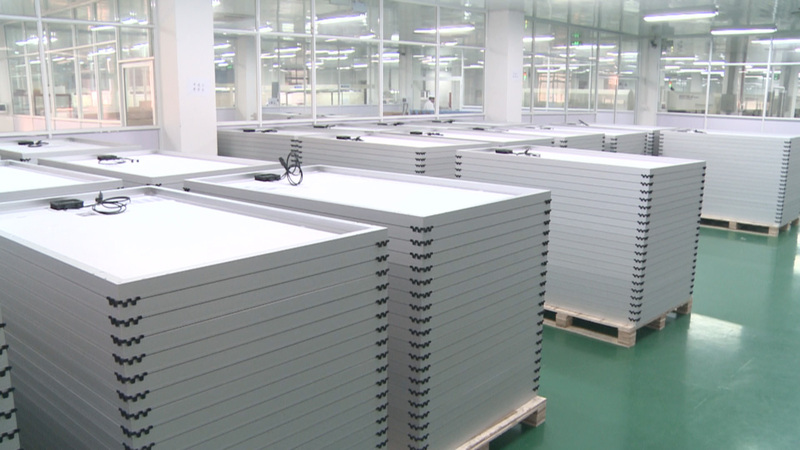 All solar modules are certified by TUV IEC (Germany), MCS (UK), CEC (Australia), Solar Product Certification (CQC), CE(SGS). With the tenet of "Creating value for clients", the company is expanding continually in the field of solar energy to provide top quality solar products. We warmly welcome new and old clients come to discuss business opportunities and to create more & more splendid businesses together with us! Company Name: NINGBO KOMAES SOLAR TECHNOLOGY CO., LTD.